Brushetta or authentic traditional spanish tapas set for lunch table. 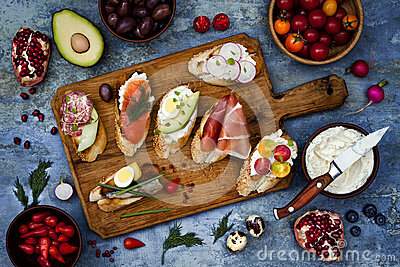 Sharing antipasti on party or picnic time over blue rustic background. Top view.